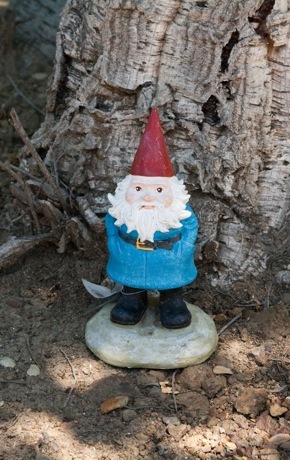 If you’re traveling around SLAC, you might catch a glimpse of an elusive gnome. The tight-lipped traveler was most recently spied keeping an eye on traffic from his vantage point in front of the guest parking lot, but he’s also been seen across the street near the Kavli auditorium, as well as various other locations about the lab. Gnomes are a shy, retiring folk, and this gnome declined to comment. However, a friend of the gnome who spoke on condition of anonymity said his minuscule buddy merely wants to watch the comings and goings at the lab. Until then, when you see the gnome, smile and wave. He’ll appreciate it. Next post: Will May bring more spring showers?